Reposted from the U of Chicago Urban Network Site: “All roads lead to Johannesburg”—admits the narrator of Alan Paton’s famous novel, Cry the Beloved Country, even though he dislikes the city. 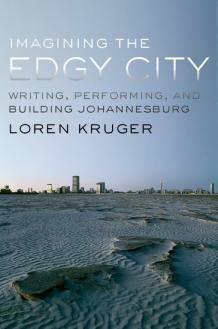 Taking its cue from this admission of a kind of guilty pleasure in this vibrant but unnerving place, Loren Kruger’s new book, Imagining the Edgy City takes readers into the heart of South Africa’s largest city. The book explores a wide range of fiction, film, architecture, public art, performance and other urban practices from trade to parades in Johannesburg across the twentieth and into the twenty-first century. Read the full essay from Professor Kruger on her new book and the connections between Chicago and Johannesburg.